It is with a sad and heavy heart that I must comment on those terrible events that unfolded last night in the great city of Manchester, when the terrorists struck again on our soil. This time they targeted defenceless and innocent young people, some with friends and some in family groups, attending a pop concert in the Manchester Arena in the centre of the city. As I speak to you on the day after, there are currently 22 fatalities and 59 people injured, many of them critically. One of the children killed was merely eight years old. Our prayers go out to the grieving families of those who have lost loved ones and also to those who are suffering from grievous wounds in various hospitals around the city. IS/Daesh has claimed responsibility for this despicable and cowardly action but that cult of death often tries to promote itself on the back of such attacks for propaganda purposes, so we must resist jumping to conclusions before the evidence is assembled and assessed. Nonetheless, the authorities have confirmed this was indeed a terrorist attack, an improvised explosive device being detonated by a suicide bomber in the foyer of the Arena; timed to inflict maximum casualties at the end of the concert when thousands of young people would be leaving. The police know the identity of this mass murderer but are not releasing it for the time being. This is in part due to the ongoing local and national investigation which looks likely to reveal co-conspirators and terrorist cells. The attack took place just 8 miles from the church that I serve in the suburbs. This morning, just 3 miles away from St Aidan’s, the police raided two houses and there was a controlled explosion at one of them. No further details are available as of this time, but this story is unfolding so rapidly, so by the time you hear this I am sure that much more will be known. 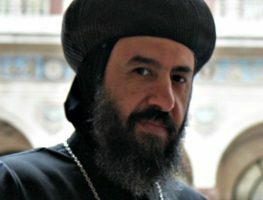 As an Orthodox Christian priest, and together with my parish community in this great city of Manchester, I am trying to think and pray through an appropriate and balanced Christian response to such a tragedy, including how we should handle such terrorist threats and realities into the future. First and in this regard, all of us here in Manchester have already been inspired by the flawless response of the emergency services and the spirit of Manchester people who have rallied round to support those directly affected by this terrorist outrage. 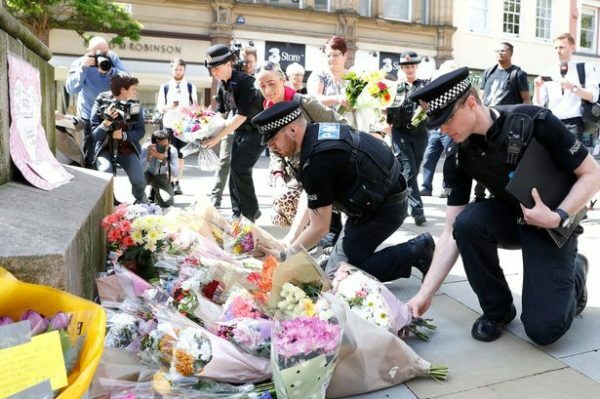 The solidarity of the people of Manchester, and indeed of other communities similarly affected in Britain and elsewhere, is an outstanding inspiration and example to all those peoples of any religion and background who are threatened by this evil culture of death, right across the world. 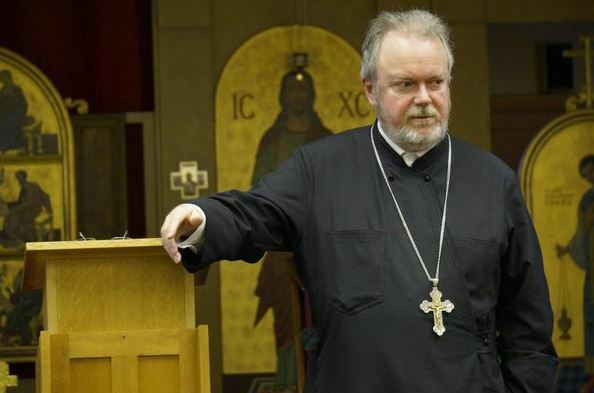 Second, as individual Orthodox Christians, the Gospel of our Lord and God and Saviour Jesus Christ calls us to embrace the cross and forgive those who would do us harm. Loving our enemies doesn’t just mean dealing with obnoxious people in daily life it means praying for, and indeed loving those who would do us actual harm. There can be no room for hate or revenge when confronting such an evil as this. Only the love of a God who justly judges and graciously saves can turn the most hardened and bitter heart toward peace, human dignity and compassion. He usually expects though to do this through our witness, so this then is our responsibility as Christians. However, this is not the whole story. Third, we need to make a clear distinction between personal morality and social responsibility, while seeing both as being subject to God’s sovereign will and purpose. Individual Christians, according to the Gospel, may choose martyrdom in extreme situations rather than retaliate or seek revenge. They may choose to forgive their persecutors and pray for them. However, none of us can forgive on behalf of those who have suffered at the hands of others. Only those directly affected by such atrocities, and indeed by sins generally, have both the right and the capacity to forgive their own particular enemies. As a nation, our social responsibility is to uphold the law and play our part in the democratic process through which, of course, such laws are enacted, which is why, I believe, voting in elections, notwithstanding its flaws is better than suffering a dictatorship allowed elbow room through cynicism, despair or apathy. The first duty of the State itself, however, but not of course the only one, is to protect its citizens and to ensure the defence of the realm. Passive martyrdom and forgiveness is a choice exercised by individual persons but it can never simply be translated directly into social policy and law; particularly when endangerment of life is current and critical, as it is now. As I said, the duty of the State is to protect us all and especially the vulnerable and the weak, and to this end we need excellent and ethical intelligence services and a robust and effective police force and military. Such forces of law and order can only function optimally when they are supported by all citizens themselves. The failure to support the forces of law and order in such atrocities is a danger as reprehensible as the actual attacks themselves. The first duty of all citizens, therefore, must be to support the police and the security services in their work. With sufficient safeguards as to personal liberty, if this also involves the deepening of the surveillance trawl through electronic media, then this is something, I believe, that we should support, while at the same time denying to the authorities the opportunity to use these “all-seeing eyes” to interfere with our valued freedoms. It would be a tragedy if terrorism won by encouraging us to adopt measures that undermine the very freedoms that we are defending in opposing it. However, the battle we are waging here against terrorism is not simply and only to be fought with intelligence and smart policing. That will be like cutting off the heads of weeds while leaving deep-seated roots untouched. There is an ideological, and indeed propaganda, war going on here for the hearts and minds of those who are especially most vulnerable to recruitment by terrorists, both homegrown and otherwise. How then is such a war to be waged? A number of weapons are at our disposal. Always useful is a good and intelligent use of the disciplines of psychology and criminology, both in dealing with those who are recruited into terrorism (caught alive) and in the messages we promote and adopt in our society through mass media and the pulpit, not only to inform public opinion and form the Christian mind, but also to act as a counter insurgency tactic against the terrorists themselves; a counter insurgency of the heart and the mind. Here is where religion generally has much to offer, precisely because it is religion that is being perverted and corrupted here. I say “religion” rather than simply Christianity because it is a task that can and should be embraced by peoples of all faiths, those, that is, whose basic tenets are goodness, righteousness and truth. A cult of death such as IS / Daesh may only finally be beaten through active forces of goodness in education and a re-orientation toward the light, especially at the hands of knowledgeable and skilled believers generally and co-religionists especially. Governments need to invest as much time, effort, personnel and money in these methods as in the more traditional aspects of police enforcement, intelligence gathering and military intervention. States in the West which have been accustomed to a secularism which has progressively banished religion from the public square need to develop both a more open mind and an active commitment towards cooperating with faith communities and skilled individuals in this process of rolling back the darkness of hatred and death. None of these reflections are irrelevant to the practical situation and plight in which we now find ourselves with grieving relatives and bloodied bodies in the city of Manchester and elsewhere. 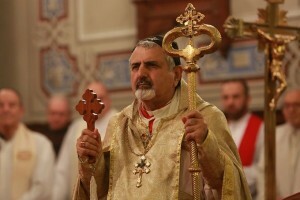 Orthodox Christians need to play their part together with other men and women of goodwill who are prepared to rise up and collaborate in a generous and positive manner, fighting with the weapons of the Spirit, not only for the values and freedoms that are so cherished by us all, but also for the entrenchment of those values in the minds and hearts of those vulnerable persons for whom Daesh/IS and the devil continue to contend. This is a spiritual as well as physical battle that we shall have to face with faith, hope and love – perhaps of the next two or three generations. May the Lord be our very present help, strength and guide as we all do our part to uphold his Kingdom here on earth as in heaven.